The environment is everything. And a sustainable environmental defense is only achievable with a widespread awareness. You might be a victim of these products. Do you use or store common household chemicals? The following important information can help your family to avoid disabling and life-shortening diseases. Have you observed a flood of advertisements about cancer and other disease treatments? That’s because Americans are getting sicker. The diseases that previously affected mostly elderly are now affecting the younger population and at a shocking rate. The death rate from Alzheimer’s disease alone has increased by 55% over the last 15 years. The brain diseases are predicted to nearly triple during the next three decades. 1-in-3 Americans recognize that they suffer from chemical product sensitivities, which indicates the early signs of chronic chemical poisoning. 96% of Americans have the presence of toxic chemicals in their blood. The initial stage of a toxin-induced disease is asymptomatic. The next stage can present itself with symptoms such as occasional headaches, vertigo, fatigue, allergic reactions, breathing difficulties, depression, unrefreshing sleep, chronic pain, indigestion, hormonal imbalances, anxiety, acne and a reduced sense of smell. There’s no single cause for all diseases. But there is an unregulated industry that causes the majority of them. Unprecedented and overwhelming daily consumption of toxic chemical product substances at home and at the workplace is now the leading cause of many chronic and fatal diseases and abnormally accelerated aging. Dementia, Alzheimer’s, Parkinson’s, heart, lung, blood and other diseases are often accompanied by the chronic liver and kidney damage that is the direct result from your body’s inability to detoxify both organic and inorganic chemical substances. How do most chemicals enter your body? Surprisingly, not just with food and water. Contaminated air is how most chemicals directly enter your bloodstream. 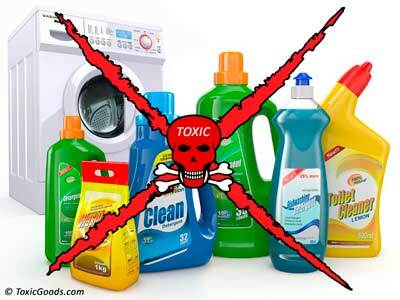 If you use household cleaning products, laundry detergents, fabric softeners, dryer sheets, and air fresheners, and the toxic smell suspiciously does not bother you – then you are, in fact, dangerously poisoned by the toxic chemicals contained in these products. You may still have a chance to prevent a disease. If your health and the health of those close to you is a priority – then it’s time for a change. If you do not use these hazardous products, but sense and inhale the airborne toxins that are present at your workplace or lurking in your neighborhood (such as those exhausted through the dryer vents) – be proactive. Immediately discuss it with those responsible for the air pollution and support community awareness about the dangers of these highly toxic substances. Avoid Toxins. Heal. Live Longer. Very grateful and feel lucky to gain such a transformative change after stumbling across toxicgoods guys. Thumbs up! Hoping to see more research and effort put into the subject. Our community most definitely needs a substantial educational effort in order to make the change. Seeing innocent people suffer from the toxic vapors of the chemicals all around is painful. 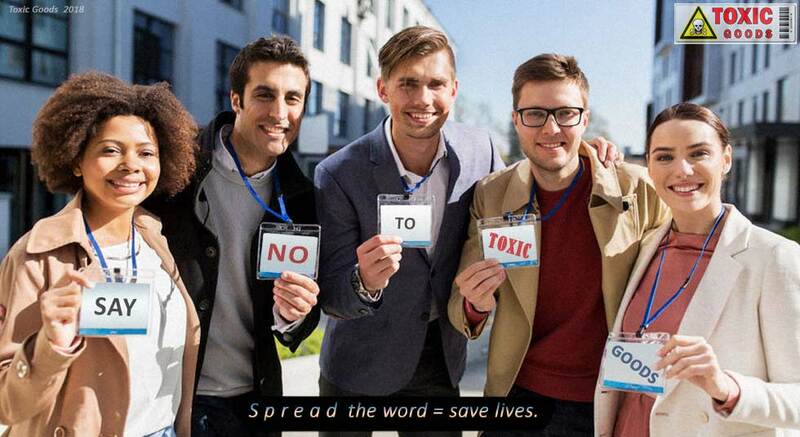 Totally support Toxic Goods efforts and will spread the word! Toxic Goods Awareness © 2019. All rights reserved.